India has an ambitious target of electrifying all its cars on road by 2030 and plans to have 6 million electric cars running on Indian roads by 2020. Though sales of electric vehicles in India increased by 37.5% to 22,000 units for the year ended 31 March 2016, only 2000 of these were electric cars. This could be a big chance for automobile companies who can capitalize from the opportunity at hand. India has a rising population which will create a huge demand for consumer goods. As such the number of vehicles is expected to increase four times to 13.4 million units by 2026 from just over 3 million now. The launch of electric vehicles in India will not only reduce the country’s dependence on oil imports but will also help in fighting the increasing level of air pollution in the Indian cities. Some of the foreign car companies having a huge presence in India are Honda, Volkswagen, Hyundai, Ford, Chevrolet, Audi etc. Maruti, Tata, Mahindra are some of the domestic car companies in India who can look at expanding their dominance in the electric car segment too. Now these companies should come out with affordable electric cars in India. Price remains a big concern in the Indian subcontinent with high income disparities. Though electric cars have been launched in India, prices are high. India thus needs to come up with a plan to reduce the costs of electric vehicles and enable increasing adoption these vehicles. The Australian government is also under tremendous pressure from the car companies to grant some sort of financial incentive to promote electric vehicles in Australia. Some of the electric cars prevalent in India have price tags in all ranges. While Mahindra’s e20 is the cheapest version available, BMW’s electric car is available at a price tag of more than INR 2 crore. Let us have a look at the top 5 electric cars available in India. BMW launched its i8 electric car in 2014. The car looks stunning and very elegant and come at a price of more than INR 2 crore in India. The electric car has a 1.5 litre petrol unit and a 7 kWh battery. BMW’s i8 can run at a speed of 120Km/h. Te car is running successfully in India. Next in line is Volvo’s T8 plug-in hybrid version of the XC90 with a 2 litre petrol engine and 9.2kWh lithium-ion battery. The SUV electric car will cost you a mind-boggling INR 1.25 crore, but comes with features to die for. Some of the most amazing features include back seats that can be electronically adjusted and reclined with inbuilt massage functions, magnificent lighting, folding tables and even a refrigerator and much more. Toyota’s Camry hybrid car is not a plug-in hybrid car, but has been quite popular in India so far. The car comes with nickel metal hydride battery unlike the lithium-ion battery used by most electric car makers. Camry comes with exciting features like reclinable back seats, cruise control and three different driving modes. The car is available at a price tag of INR 31 lakhs in India. The domestic car manufacturer has so far launched two versions of electric cars in India. The more affordable e20 which comes in a price band of INR 5-7 lakhs and eVerito launched at INR 10 lakh. When fully charged the eVerito sedan can run upto 110 km and at 86 km/h speed with a 72 V lithium-ion battery that takes over 8 hours to be fully charged on regular mode. 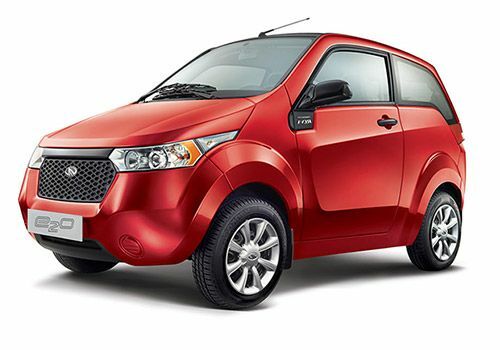 The more affordable range of car for mass usage in India launched by Mahindra is the e20. The car is powered by a 48V lithium-ion battery which takes 5 hours to be fully charged and can offer you a speed of just above 80 km/h. Very efficient for city running, e20 can run upto 120 km once fully charged. The car is however a two seater one, though the company is planning to come up with a four seat version. Take a look at the list and let us know what you think. You can also suggest more cars that can be added to the list. The next list will include more upcoming electric cars in the Indian market! Search by Tags:: Are domestic car companies manufacturing electric cars in India?, List of electric cars in India?, Top electric car brands in india?, Which are the best electric cars in india?, Which are the Top Electric Cars in India, Which electric cars are popular in india?, Will India benefit from Electric cars?